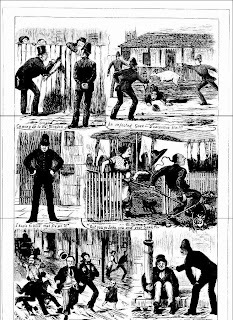 The last quarter of the 19th century was a busy one for the police in The Rocks. They moved into a handsome new purpose built police station designed by the Colonial Architect James Barnet on George Street. The Rocks Push and other larrikin gangs became notorious throughout Australia, showing increasing defiance towards the police. 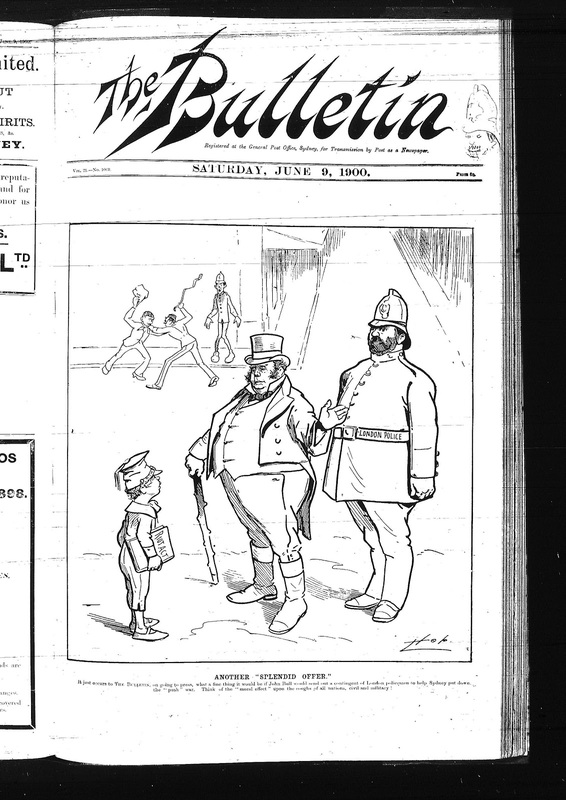 Several disease epidemics also occurred, requiring police to keep the peace and ensure people remained quarantined. There were also large strikes and riots caused by economic depressions and union activity that the police had to control. The Rocks Police also had to deal with increasing xenophobia towards the Chinese population and accusations from the local community that they were corrupt. This resulted in a Royal Commission specifically targeting the professionalism and integrity of the men of No.4 Station. Despite this two former Police Commissioners, James Mitchell and Walter Henry Childs, began their careers at The Rocks. Throughout all this time The Rocks Police have had a hard and emotionally challenging job. The Rocks was a working class neighbourhood and parts of it displayed crippling poverty and misery. 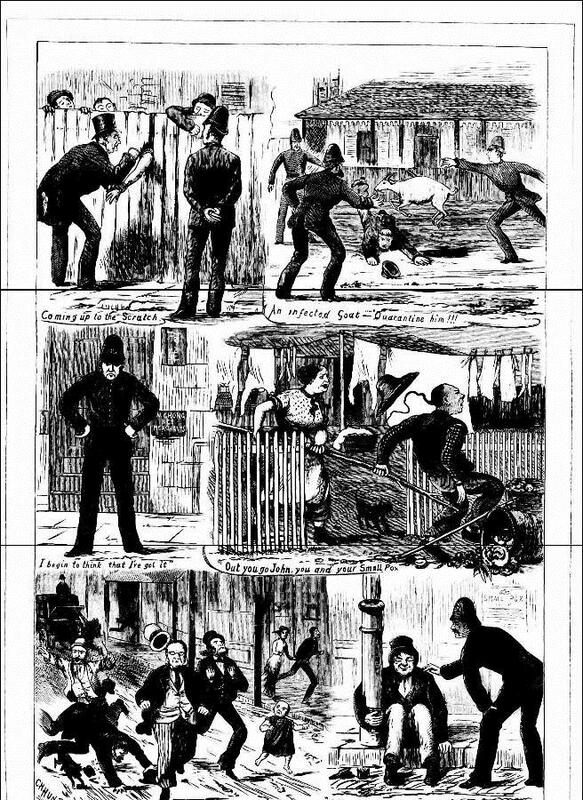 The newspapers of the time were often reporting on bodies found in the harbour, three in one week alone, and there are many reports of newborn infants, both dead and alive, found abandoned in the area. Alcoholism and violence were extremely common and it was not uncommon for The Rocks Police to find a body suffering from the effects of either or both. 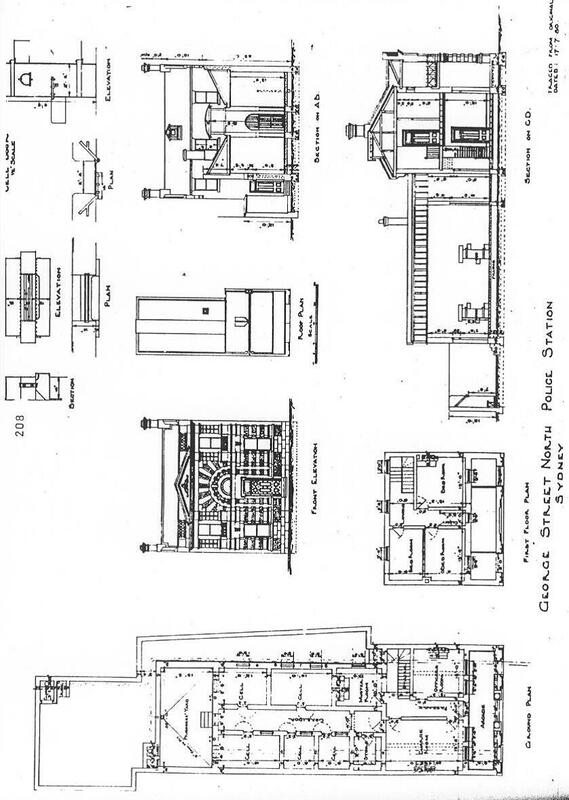 In the 1870s a scarlet fever epidemic prompted the government to appoint the Sydney City and Suburban Sewage and Health Board in 1876 to report on sub-standard buildings and sanitary conditions. All of the police buildings in Sydney were inspected, resulting in a rebuilding program which transformed Sydney’s police stations. 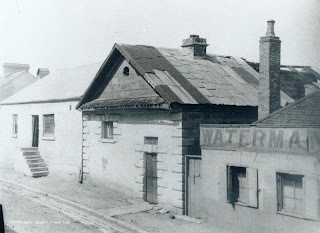 The Harrington Street Watch House not been used since 1847, leaving the Cumberland Street Watch House as the principal station. It was condemned in the 1876 Sewerage and Health Board report to the Colonial Secretary and became so notorious for its dreadful condition that the newspapers printed articles about it. 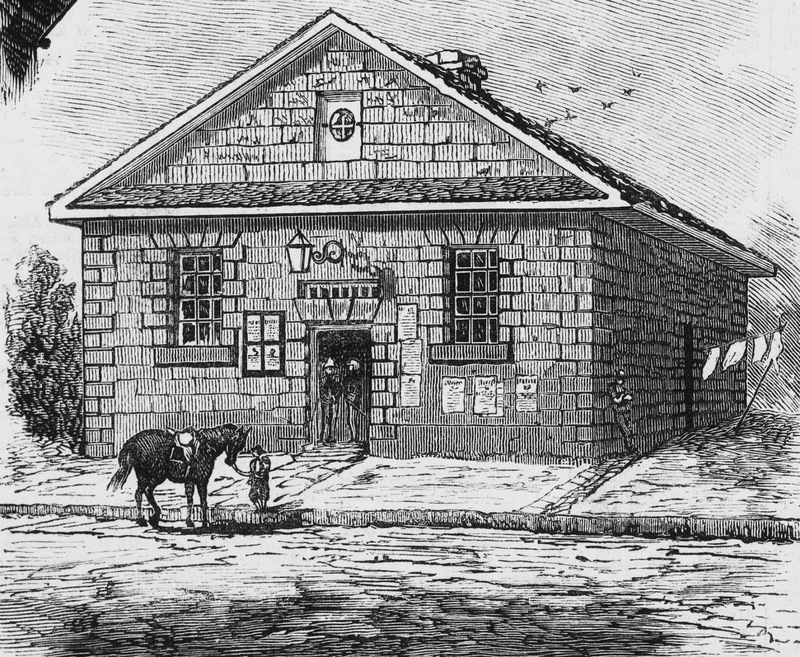 Smallpox broke out in Sydney in 1881 and one of the places reported to be affected was the Cumberland Street Watch House, sealing its fate. The local police were heavily involved in this epidemic, ensuring people remained quarantined and supervising inoculations. Alexander Atwill (1838–1912). 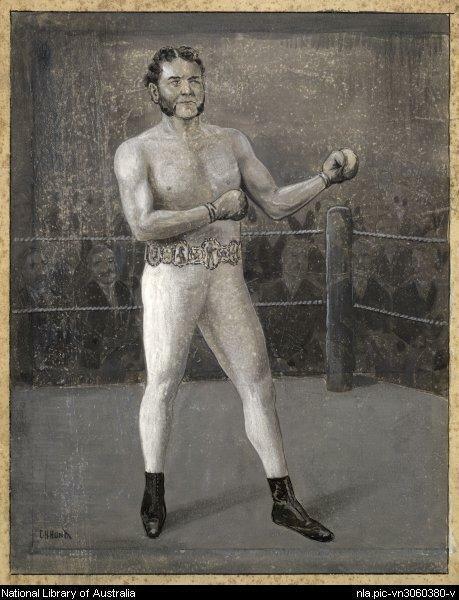 He had served in the Royal Irish Constabulary from 1856 until his departure for Sydney in 1864. On arrival he immediately joined the NSW Police Force and was stationed at the Cumberland Street Watch House. 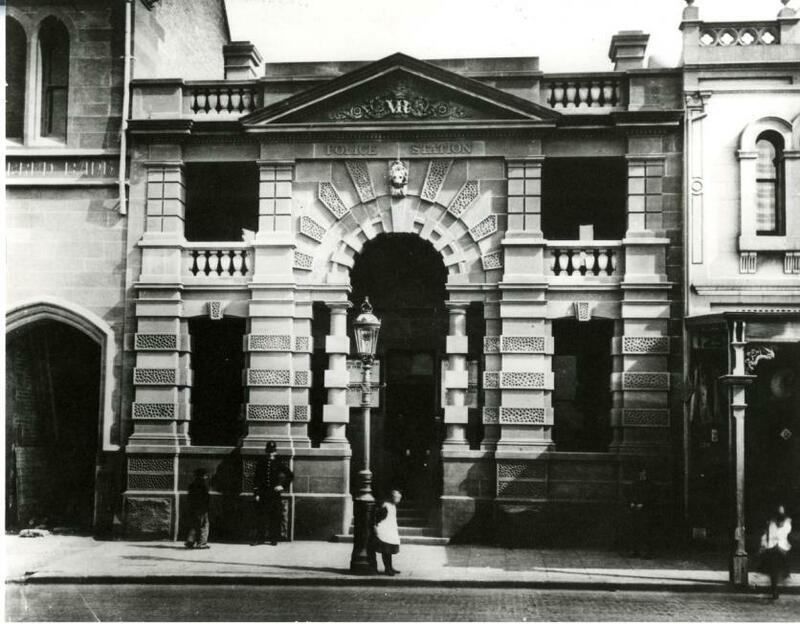 Atwill was deployed at the Mint in Macquarie Street from 1870–82 before being appointed sub-inspector in charge of the newly completed No 4 Station, replacing Samuel Dillon Johnston (1824–1907) who had retired. Figure 6. Group outside No 4 Station, The Rocks, c. 1895, which includes Constable Alexander Mackie. The seated figure in the centre is probably Sub-Inspector Alexander Atwill. Original in possession of Mackie’s descendant, Patricia Punch. 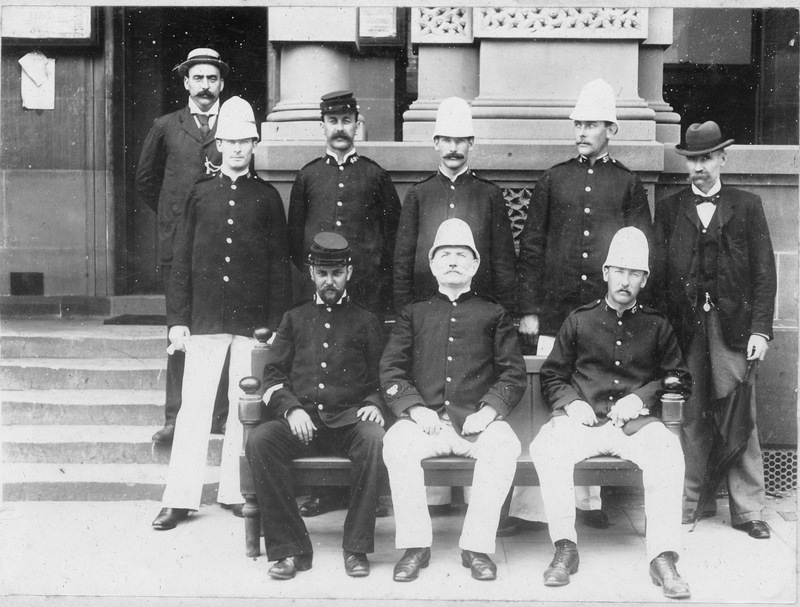 A total of 76 police were attached to The Rocks in 1891 including 18 men in Balmain and five in Manly, two at the Colonial Secretary’s Office, two at the Lands Department, one at the Library, five at the ‘Station’ (i.e. in the offices at 127 George Street), and four at the Police Court. There were never more than five men on duty during the day and eight at night in the city portion of No 4 station. Philip Sweeney (1830–96) served with The Rocks police from 1858 until his retirement in 1892. In later years he was the lockup keeper, and in 1891 Sweeney told the Royal Commission that the station sergeant and the ‘reserve man’ serve 12 hour shifts, from 10am to 10pm, and 10pm to 10am. 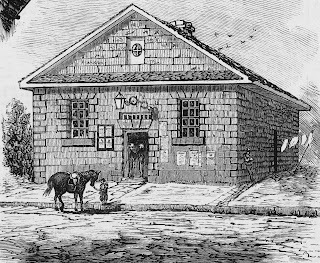 He said that women would bring dinners down to their husbands who had been arrested in Moy Ping’s gambling house and “complain of their husbands spending their money in the gambling houses and leaving them without food.” The majority of people that Sweeney had to look after were locked up for drunkenness and gambling. But this gives us in insight into the running of No 4 Station and the long shifts the police worked. Figure 7. 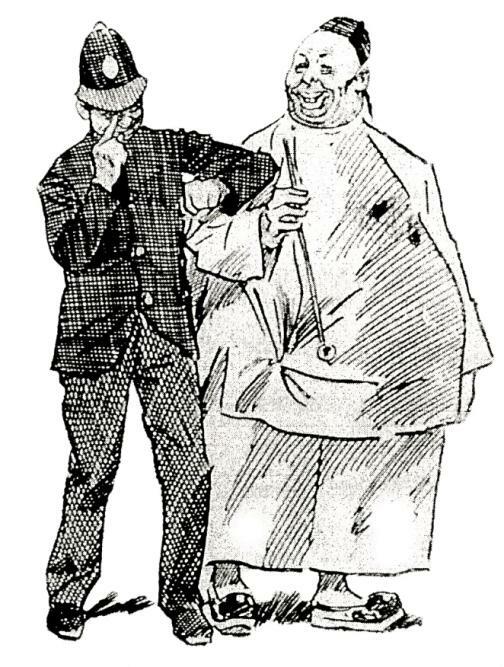 Cartoon by Norman Lindsay from the Bulletin, 1901, satirising the police. Anti-Chinese sentiment was rife in Australia following the gold rushes of the 1850s. By the 1870s The Rocks had a substantial Chinese community. The Bulletin maintained an anti-Chinese stance publishing derogatory cartoons about Chinese reinforcing these prejudices. In 1891, European business owners in Lower George Street formed The Anti-Chinese Gambling League claiming that their businesses suffered from the behaviour of their Chinese neighbours. Alleging filthy, overcrowded houses that were used for gambling, opium smoking and prostitution, The League claimed that the Chinese openly solicited the entrance of men and women passing by, creating a cultural enclave dependent upon police corruption for its continued existence. They lobbied NSW Parliament until a Royal Commission was appointed. The Royal Commission on Alleged Chinese Gambling and Immorality and Charges of Bribery Against Members of the Police Force  largely focussed on The Rocks, where it was alleged the police of No 4 Station were accepting bribes from the Chinese. Figure 8. Cartoon commenting on the perceived relationship between The Rocks police and the operators of Chinese opium and gambling dens. Bulletin, 1890s. (1) taking receipt of a bookcase at no cost from Ah Toy, cabinet maker of Lower George St in 1891, (2) demanded a present of £100 from a publican, (3) had said to a photographer that he should supply photographs freely of himself and his family, and that other tradesmen in the area should likewise supply goods “in consideration of the protection he afforded them”, (4) induced a shopkeeper (Dawson) to smuggle a quantity of tobacco and cigars ashore for his personal use. The Commission found that all of the allegations against the police were baseless. Senior Constable Henry Murrow (1869–1897) of No 4 Station died from an injury received on duty. 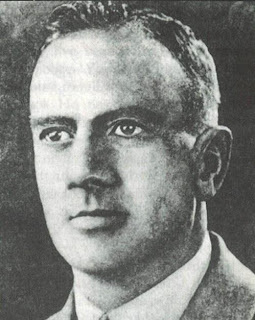 Born in England, Murrow had settled with his parents in New Zealand where he joined the New Zealand Police Force before moving to Sydney and joining the NSW Police Force in 1883. On 4 October 1897, Murrow, while on duty in The Rocks was hailed by Jane Jones, publican of the Orient Hotel who was having trouble with a drunken patron, Daniel Conway. Jones asked Murrow to move Conway along. This he did, requesting that Conway go home. Conway left with another man, walking south along George Street, closely followed by Murrow, as witnessed by George Howlett. Nearing the Port Jackson Hotel (now the Russell Hotel) on the corner of Globe Street, Conway’s companion was swearing, at which point Murrow overtook them and clasped his hand on the man’s shoulder. This resulted in a fight during which Murrow struck his head on the woodblock paving of George Street. Howlett intervened, helping Murrow to his feet. Conway then fled back towards Argyle Street and Howlett assisted Murrow to the nearby No 4 Police Station. Murrow was escorted to Sydney Hospital where wound was dressed. It appeared to be minor so Murrow was dismissed. 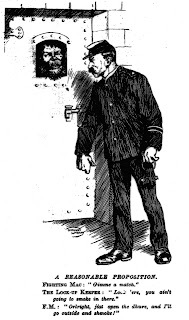 Meanwhile Conway was delivered into the custody of water police Constable William Cleugh who took him to the Water Police Station in Phillip Street where he was charged with assaulting Morrow while he was on duty. At 10.30pm at his home at Paddington, Murrow lost consciousness and died around 12.30am. Doctors were summoned and determined that he had concussion, an autopsy confirmed it. 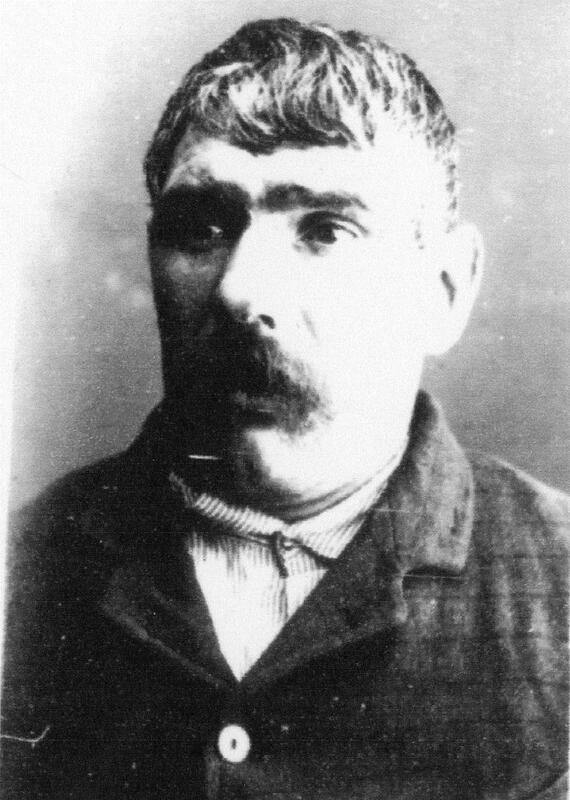 Conway, was charged with murder but convicted on the lesser charge of manslaughter and sentenced to six months hard labour at Darlinghurst Gaol. The Rocks Push became one of Australia’s most well known street gangs, made up of ‘larrikins’, young unruly men without respect for authority. They were not the only gang in the area, there was also the Millers Point Push, the Argyle Cut Push, the Green Push made up of Catholics and the Orange Push comprising Protestants. 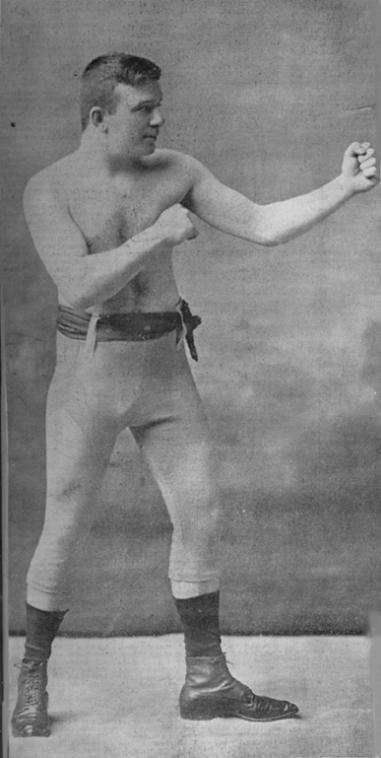 As well as fighting among themselves the pushes also had battles with others around Sydney, such as the Glebe Push, the Straw Hat Push, the Forty Thieves from Surry Hills and the Gibb Street Mob. The Rocks push became famous or infamous for several reasons, their leader, or captain, was Albert Griffiths, popularly known at the time as “Young Griffo” who became the world featherweight boxing champion in 1890. Fighting skill was essential to lead these gangs and Larry Foley, another famous boxer, was the captain of the Green Push. The Rocks Push was known for their specialty for robbing people unfamiliar with the area. 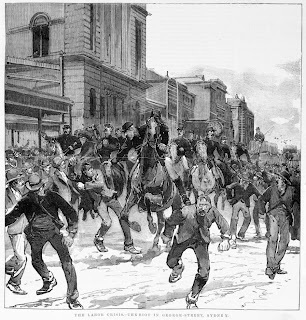 They also engaged in union activity and riots, such as the riot at the ASN Company offices in George Street in 1878, which the Police had to break up with horses and batons. During the early 1890s they intimidated men finding work at the Labour Bureau, objecting that these men were strike breakers and lowered working conditions. The push was responsible for kicking to death at least two sailors, but it will remain unknown how many other people were robbed and assaulted by them. Several of their members were flogged for throwing blue metal at police and knocking one unconscious. They appear to remain a force in the area until the outbreak of World War 1. After the war the police then had to contend with a new menace, the beginnings of organised crime and the black market economy. There were two murders in The Rocks that have been attributed to organised crime. The first was the shooting of Reginald Holmes in 1935. Holmes was a star witness in the ‘Shark Arm Murder’ and he was found on Hickson Road in his car with three gunshots the morning he was to testify. A local anecdote relates that guns used in the Shark Arm Murders were stored in the chimney of a terrace in Atherden Street that was searched by police, but they weren’t found. "John William Manners was shot dead outside The Australian Hotel on June 8 1956. George Joseph Hacket was detained for Manners murder but was acquitted of the crime at the Central Criminal Court on October 25 1956. No one since has been tried for John Manners' murder"
In December 1941 the United States entered the Second World War and following the fall of the Philippines, General Douglas Macarthur relocated to Australia. Sydney became a major supply base for the operations, and an important naval base for the repair of US Naval ships. The United States Navy Shore Patrol took over use of the five cells and both exercise yards from 29 July 1942, and then on 8 March 1943 the entire building. 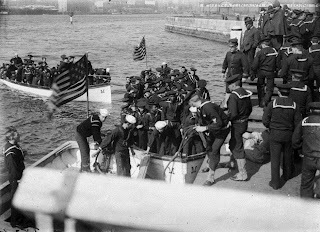 The purpose was to ensure order among US Naval personnel while on shore leave. Four American sailors escaped from the George Street North police station yesterday afternoon by smashing the iron grille over the exercise yard. Openings were made between the bars large enough for them to squeeze through. The sailors were being held in custody by the U.S. Navy shore patrol, and police were asked to assist in recapturing them. Three shots were fired by a member of the U.S. Navy shore patrol in George Street, near the. Victory Theatre, at 1.15 last night after two naval ratings had escaped from the patrol wagon. One bullet ricocheted from a wall and struck George Wilbur Woody, a U.S. Navy storekeeper, who was standing in a big crowd outside the theatre. Police officers consider that it was a fortunate chance that other persons in the crowd were not struck by the .38 bullets. In August 2009 in the roof space above the northern cells a series of artefacts relating to the United States Navy’s use of the building were found. They were a number of cigarette and chewing gum packets, a ciphered telegram, match boxes, a tinware dish, and pages of newspapers from 8–10 October 1942. 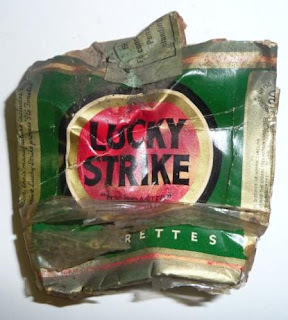 The three green Lucky Strike cigarette packets have US Sea Stores Custom labels, confirming that they arrived via the US Navy supply system. Lucky Strike changed their packaging from green to white in 1942, and so these packets date to the first year of the US Navy’s occupation of the building. After 1941, to protect the reputation of its brands after supplies of top-grade ingredients became limited, the company took Wrigley's Spearmint, Doublemint and Juicy Fruit off the civilian market and the entire production was sent to the troops. The artefacts were all in close association and were probably all deposited at the same time, although what someone was doing in the roof space is still a mystery. It is unlikely that the escapees reported in November 1942 were held for a month in these cells. 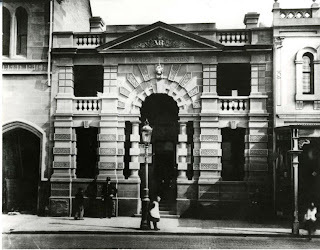 On 11 March 1950 127 George Street was resumed by the NSW Police as offices, and the whole building occupied by the Traffic Division of No 4 Station, which included the Special Parking Police. The main station continued to be based at Phillip Street until 1983. 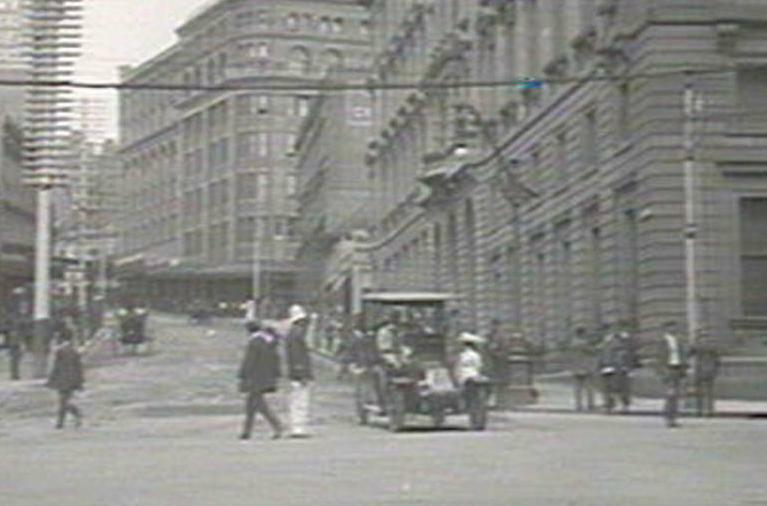 In 1900 the control of traffic came under the jurisdiction of the NSW Police, largely due to the introduction of electric tramways in Sydney which shared the public streets with horse-drawn vehicles and pedestrians. When on duty at the corner of George-street and Circular Quay on Saturday morning Constable Black, of No 4 Police Station, became jammed between two passing trams. One of the cars struck him heavily, fracturing two of his ribs and inflicting other injuries to the body. Black, who lives in Argyle-street, Miller's Point, was removed by the Australian Ambulance to Sydney Hospital, where he received treatment. The increase in car ownership had put a heavy strain on the streets of Sydney, designed as they originally were for foot, or at best horse drawn transport. Electric trams and cars appeared around the same time. By the 1930s car traffic congestion was becoming a problem in Sydney, and in 1937 there was talk of phasing out trams, and extending the public bus service. Postponed by the intervention of World War II, it was not until the early 1950s that the scheme was put into action. Trams were gone from Sydney by the end of 1961. Traffic lights were introduced to London in May 1933. Five months later Sydney’s commenced operation at the corner of Kent and Market streets. Gradually mechanisation relieved the police of general point duty at intersections. Technology and regulations took much of the professional police roll out of the Traffic Police. Gradually the role of traffic police was taken over by clerical staff attached to the Police Force. On 2 November 1974 the NSW Police Force finally vacated 127 George Street, handing it over to the Sydney Cove Redevelopment Authority (SCRA). The Traffic Police relocated to another SCRA building; 16–18 Grosvenor Street, along with the Police Records Division. In 1983 the police returned to The Rocks (renamed The Rocks Local Area Command) following the closure of the Phillip Street Station (now the Justice and Police Museum). The former ASNCo Hotel at 91 George Street was leased from SCRA and refurbished for their use. They remained here until moving to larger premises across the street at 132 George Street in 1997 where they still remain. The NSW Police can therefore demonstrate a presence of more than 200 years in The Rocks, 92 years of which were spent at 127 George Street. 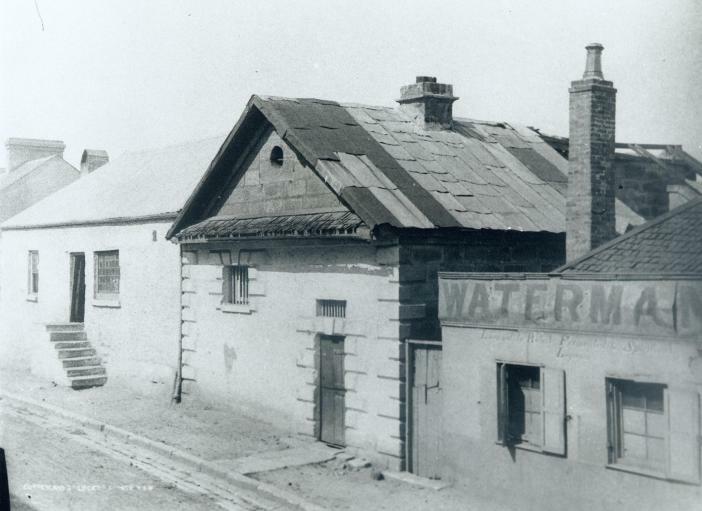 There are five extant buildings in The Rocks that have served as police premises; Cadman’s Cottage (Water Police 1847–58), 127–129 George Street (No 4 Station 1882–1974), 16–18 Grosvenor Street (Traffic and Records 1974–90), 91 George Street (1983–97) and 132 George Street (1997 – present). Moy Ping lived in Harrington Street in the 1870–80s and operated as a merchant from 208 George Street. John Kearney: Register of Police Appointments (NSW State Records). 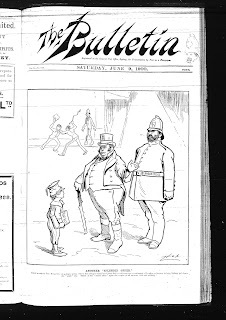 Daily Telegraph, 7 and 8 October 1897. The NSW Police Property Cards for the building detail changes to the building from 1915–1974. The transferral of the head station to Phillip Street in 1933 would have meant an overall increase in cell accommodation, although a police presence was maintained at 127 George Street up until 1943 when the US Navy took over all of the building. From 1950 the Traffic and Special Parking Police would have had little, if any, use for cell accommodation. 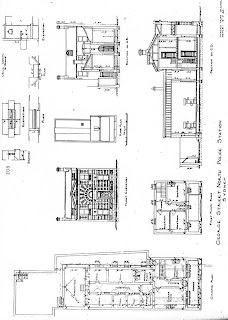 It is likely therefore that the two rooms were converted to cells during the US Navy’s occupation from 1942 – c. 47, and therefore the action failed to be recorded in the NSW Police’s property cards. In 1996 the State Debt Recovery Office relieved the NSW Police of the task altogether.